As project managers, we are quite comfortable working in our own space and keeping abreast of the various projects that fall within our scope. Managing resources, working with milestones and timelines, monitoring tasks and so forth are all common aspects of the day-to-day duties of anyone within the project management space. More junior project managers will often be tasked with dealing with projects that are limited in scope and generally self-contained. However, as one matures within the project management realm, projects will become more complex, with various inter-dependencies, shared resource pools and other external factors. Invariably, the notion of either being responsible for or being part of a broader ‘program’ is something that the project manager will likely have to contend with. With that notion in mind, the project manager is going to have to think outside the box and be mindful of not only his/her own key deliverable and timelines, but also those of other projects that are part of the broader effort. A great example of when such an occurrance is frequent is in the automotive industry, whereby various teams are responsible for specific portions of a fully functioning deliverable (a car or truck). Project managers may also overlap in such cases with other deliverables (eg. a common audio system used in different brands) and as such, have many inter-dependencies to contend with. With the above being stated, what are some of the key techniques that one can utilize to ensure all project managers are functioning in sync with one another and that the overall program is moving along smoothly? Whether this is spear-headed by the program manager responsible for over-arching program or is something that the project manager’s themselves take up, it is imperative that consistent communication channels remain open and that all the project managers regularly perform dialog exchanges and status updates between each other. In many cases, utilizing tools can greatly assist in ensuring that this dialog exchange can be performed efficiently. Regardless of the mechanism, these communication channels must stay open and engaged at all times. When considering a large program, inter-dependencies can be one of the trickiest attributes to contend with when functioning in parallel. Often times, a specific portion of one project may have a dependency on another and the timing of those dependencies can easily cause the overall program to derail if they are not handled effectively. Every project manager worth their salt will likely utilize some tools to perform their day-to-day duties. Additionally, these tools likely help the project manager derive the metrics and the primary KPIs (Key Performance Indicators) that they use to ensure their project is hitting on all eight cylinders. In a collaborative environment with multiple projects functioning in unison, it is of utmost important for the project managers to be working lock, stop and barrel with the same set of tools and metrics. Deviation from specific tools or inconsistencies in KPIs are a sure-fire way to lead to confusion, thereby increasing the likelihood of something slipping through the cracks or a problem manifesting that should have been spotted and dealt with earlier. The usage of standards (processes) is also important in this context as it will make alignment between timelines and key milestones more easy to classify and monitor. As alluded to earlier, one of the key attributes of a broader program consisting of multiple projects is the fact that dependencies exist and must be monitored. In many cases, these dependencies will span the various projects, leading to situations where one project’s forward movement in their timeline may be dependent on the completion of a component in another project’s task list. As such, itemizing these dependencies and ensuring they are being tracked is a key component of the success of the overall program. A final consideration for an effective collaborative project management strategy is to leverage and implement a planning framework for the aggregate program. 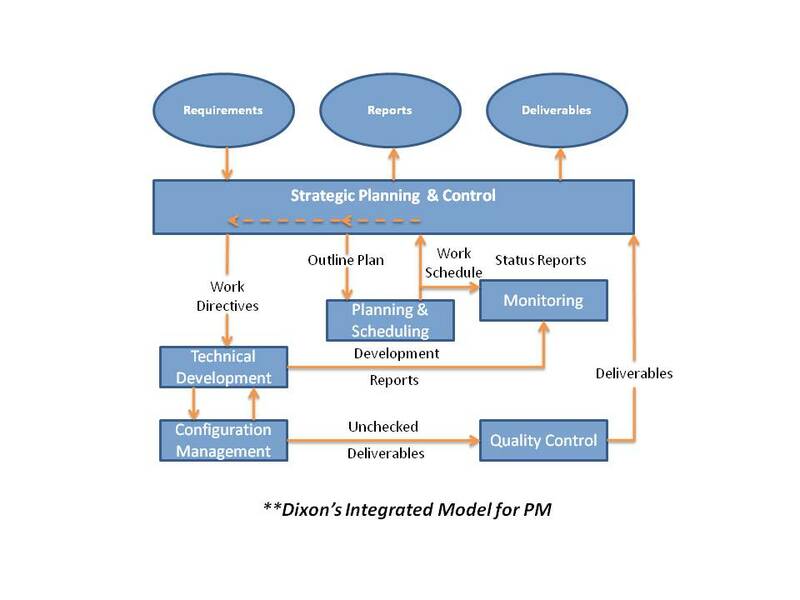 What this entails is that the project managers (generally leveraging some template) will perform the due diligence of planning their work scopes independently, confirming (through consensus) that the main line requirements have been fulfilled and then assuming direct control and responsibility of their specific projects and constituent sub-projects. An effective planning framework will allow for the project manager’s to function autonomously within their project scope while still maintaining direct lines of communication and status updates to their peers. This will avoid status overload and will allow for easier distribution of workload amongst the different project managers. 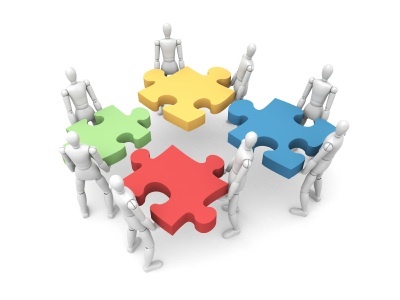 Whenever project managers work together, the results can often vary and much of the success or failure of such an effort depend on the planning and collaboration techniques that were instituted up front. Without such an effort, you can often discover that you end up with various boats paddling in separate directions without any idea of what the other boats are doing. This can lead to severe problems and outright failure of a program if steps are not taken to get the project managers working in unison. Some of the aforementioned techniques can help guide this effort and ensure that the project manager’s understand that the success or failure of their specific area of scope is very tightly interrelated to other projects working in parallel. This understanding, realized up front, is of imperative importance.